So I’ve been a bit quiet recently. Two reasons for that, firstly I have been away enjoying a rare holiday. Sadly there was very little reading time during said holiday. Secondly I’ve been reading a book that took me a loooong time to read which I will review soon. I had never heard of the author Ingrid Black until a few weeks ago when word spread in the book world about a disturbing tale of plagiarism. Ingrid Black, it turned out, was the pseudonym for two authors who together had written three books. The books had been published some time ago and were now out of print but a particularly observant reader noticed that a newly released book bore a striking resemblance to the first novel by Ingrid Black. A simple tweet lead to the story unfolding, and a sad story of how one woman stole Ingrid Black’s books and made them her own, making thousands selling them on Amazon. The supposed author had been active on social media and was a member of an online book club that I belong to. 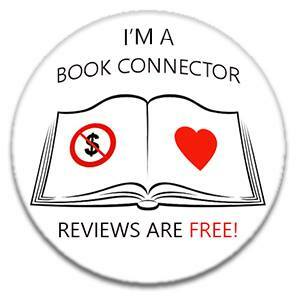 I know many who read and reviewed her books, who supported her and helped to boost her sales. Ingrid Black wrote an article about how the deceit was discovered, it was an article that shocked many. This short book is a longer version of that article, and makes for interesting reading. I admire Ingrid Black immensely for how they have handled this situation, but it does make me question Amazon and how easy it seemed to be for someone to steal the work of another. I truly hope that this situation is a one off, but sadly I doubt that is the case. If you are into books then this is well worth reading. It is short so won’t take long, but I am sure that it will make you think. The Real Book Thief by Ingrid Black is available from Amazon UK now.